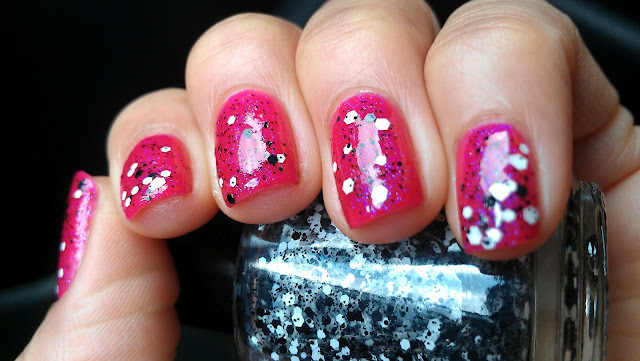 Polish Amor ♥: Dolish Polish - Putting on the Ritzzz! 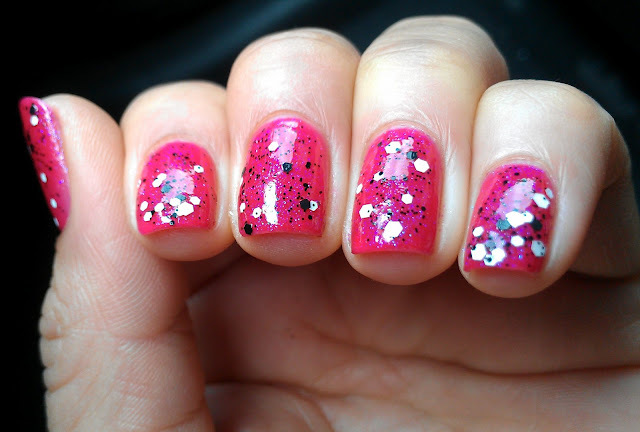 After wearing butter LONDON Disco Biscuit for 2 days, I decided to add a coat of Dollish Polish Putting on the Ritzzz! I loved this combination, I like how the irredescent glitter in Disco Biscuit peaks thru Putting on the Ritzzz! ﻿Dollish Polish is available at DollishPolish Etsy Shop or at http://www.overallbeauty.com/. butter LONDON polishes can be purchased at the butter LONDON website or at Ulta in stores or online and I'm sure other retailers! It looks absolutely gorgeous - a great layering!! Love this on you! The pink is just super girly! looooveeee this on you! i just got my dollish polish order yesterday! I love this.. it's amazing! Your nails are so pretty!!! (sorry I know you lost them) But we will grow them back together!!! I love this-so cool combination! What a wonderful combination! Love it! Great addition to Disco Biscuit! That looks awesome!!! Love it! I love the small black glitter in it! So pretty. I love the combo! This is so girly and pretty! I like the combo a lot! Love this combo! Looks great!